What is neuroma? A neuroma is a growth of nerve tissue. Morton’s neuroma is a painful condition that involves a thickening of the tissue on the nerve leading to the toes. Symptoms of neuroma include a feeling of walking on a marble, feeling as if standing on a pebble in your shoe, persistent pain in the ball of the foot, burning pain that may radiate to the toes, tingling or numbness of the toes. The exact cause of Morton’s neuroma is unknown. It seems that the condition occurs in response to pressure, injury, or irritation to one of the nerves leading to the toes. Using high heeled, too narrow, or tight shoes can make the pain worse. Certain foot conditions are also believed to play a role in its development. Among these are abnormal positioning of the toes, hammer toes, high foot arches, bunions, and flat feet. 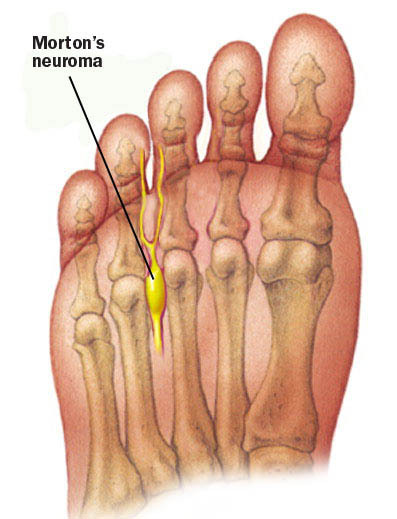 Morton’s neuroma is more common in women. The female to male ratio is around 4:1. Symptoms are usually unilateral and they tend to occur in the fifth decade of life. Celebrities have also been affected by Morton’s neuroma. Steven Tyler, the frontman of the rock band Aerosmith has been the talk within the podiatry community when he was seen with deformed toes. It was reported that he has accepted the offer to be a judge on the American Idol show to spend some time off of his feet. He was apparently in constant pain because of neuroma. He told Billboard magazine in 2011 that he suffers from Morton’s neuroma. He has been through operations and was constantly in pain. Lindsay Davenport, a former World No.1 American professional tennis player has also suffered from neuroma. Although this has caused great pain in her foot, she continued to play. She had said that the pain comes and goes. Later on, she had surgery to deal with Morton’s neuroma on her troublesome left foot. 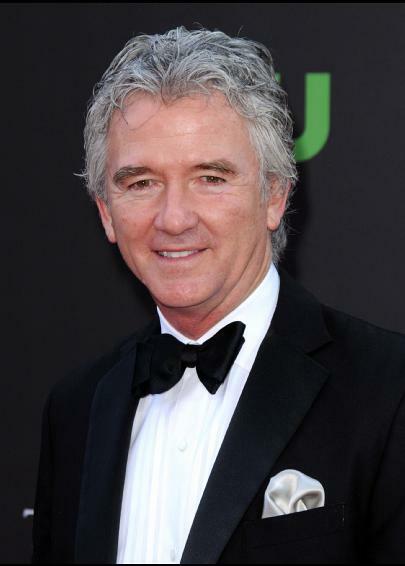 American actor Patrick Duffy, best known for his role as Bobby Ewing in the soap opera Dallas reportedly said he has terrible feet. He said that he really beat them up during his role in Man from Atlantis because he was apparently barefoot all the time. He was running on cement, running through fields, and slapping his feet around for years so the nerves on the bottom kind of went berserk. He had to have an operation because he developed Morton’s neuroma. 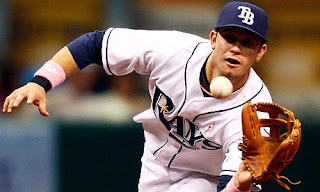 Major League Baseball third baseman for the Tampa Bay Rays Evan Longoria had one of the biggest hits in Rays history when he hit a walk-off home run in extra innings of the last game of the 2011 season. But he also had his share of foot problems. He had said that he ran on his toes in an effort to reduce the pain from his Morton’s neuroma but he ultimately needed surgery to fix the condition. He developed neuroma between his third and fourth toes, where it most commonly occurs. He was able to resume workouts shortly after the surgery. Morton’s neuroma is common among dancers, runners, and other athletes but can affect anyone. If you feel that you might be suffering from Morton’s neuroma, seek advice from a doctor or surgeon who specializes in foot disorders. Treatment depends on the severity of your symptoms. This may include arch supports, custom made shoe inserts, steroid injections, decompression surgery, or removal of the nerve if other treatments fail to provide relief. Family Foot and Leg Center in Naples, FL specialized in the latest in neuroma therapy. Sclerosis injections to help eradicate the nerve via the use of a alcohol mixture as well as radio frequency ablation by using heat to solve this painful problem without surgery. Given that neuroma surgery has a 50% failure rate, conservative , none invasive options should be explored first. If you have had surgery and still have pain, a cause could be scar tissue formation around the nerve stump. Shockwave therapy has proven to be helpful in those situations. Call 239 430 3668 for consultation.